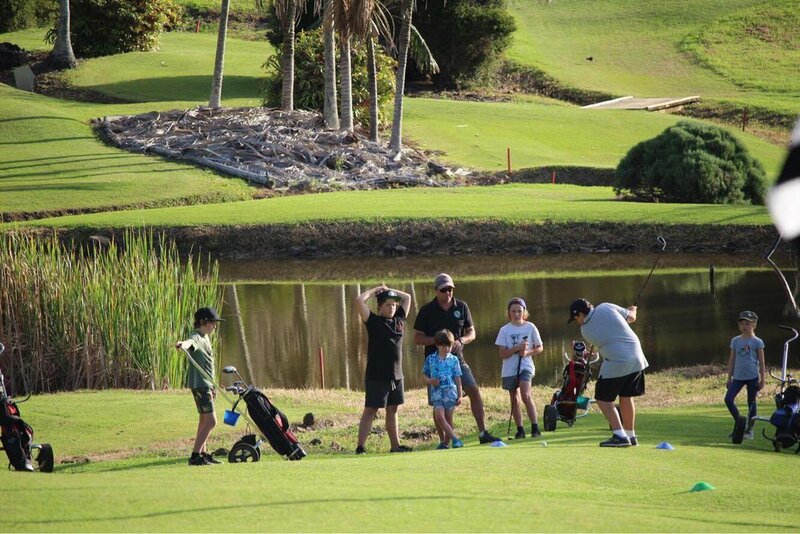 The Lord Howe Island Golf Club runs a fantastic Junior Golf Program. We have visiting Pros who come over from the mainland at least once a year and we have local volunteers who devote Tuesday afternoons to teaching and developing our local kids Golf and life skills. Golf is the perfect medium to teach and develop Maths on the run, focus while learning the values of sport etiquette and sportsmanship! Following golf we all enjoy a delicious Fish & Chips meal amongst friends! The LHIGC would like to thank the LHIB and Qantaslink for supporting the Jr Golf Program!